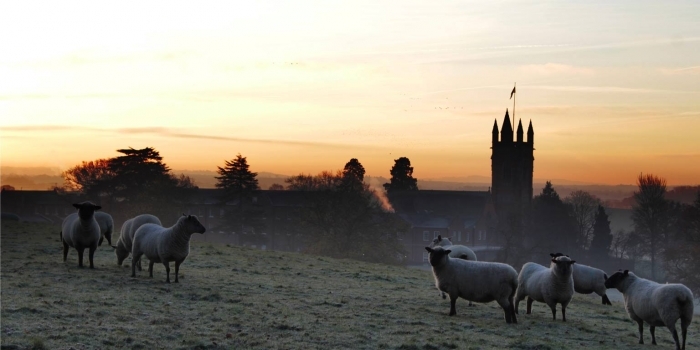 Signs of spring began to appear around the College over half term, with daffodils growing around the grounds, and the sheep back in their fields. 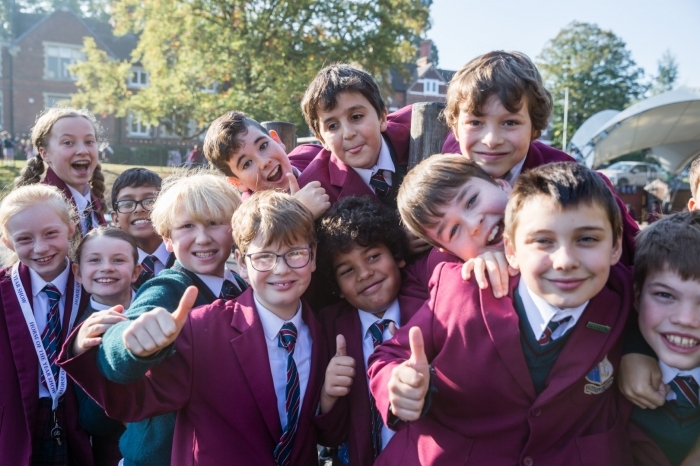 We hope everyone had a good half term break and is well-rested for the term ahead before Easter. As the banner at the bottom of the drive proclaims we will be welcoming visitors to the College's Spring Open Afternoon on Sunday 24 March from 2.00pm to 5.00pm, do please spread the word amongst family and friends, all are very welcome! Watch out for the next edition of the Flagpole on Friday 15 March. 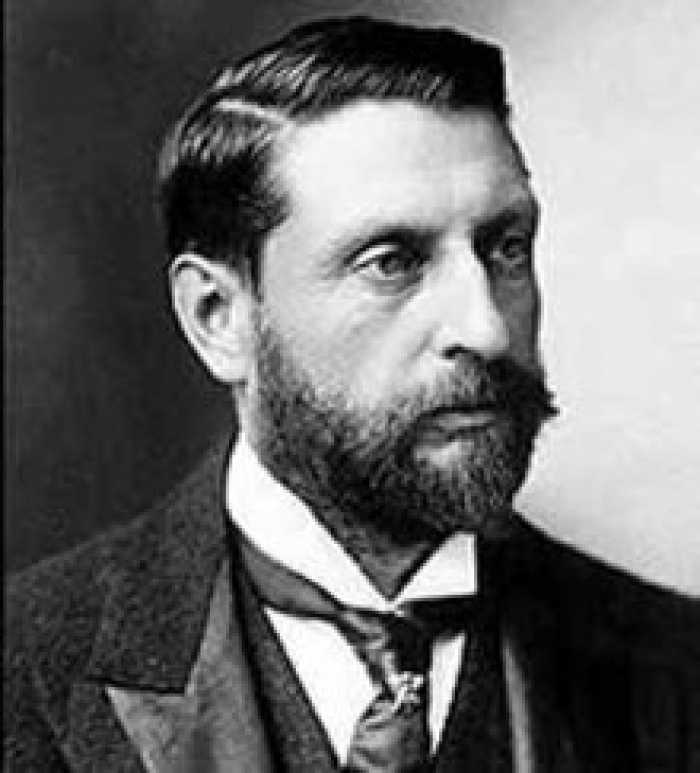 To view a copy click here. 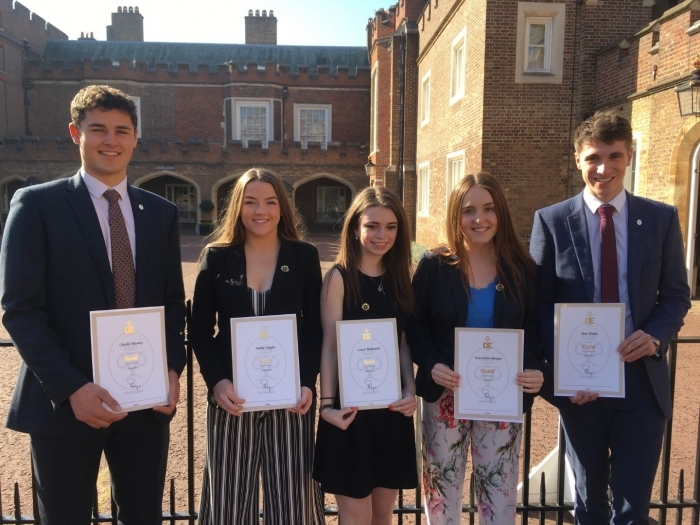 On Tuesday 26 February five Old Princethorpians were invited to St James’s Palace, London to be presented with their Gold Duke of Edinburgh’s Award. Charlie Rooney and Mollie Hughes (2017 Leavers) and Laura Baskerville, Erin Dunn-Morgan and Ben Haden (2018 Leavers) received their awards from former professional rugby player, now Welsh Director of Rugby, Cai Griffiths. Also in attendance at the presentation was the Earl of Wessex, HRH Prince Edward, who spoke to the group about their experiences, and in particular the blood, sweat and tears of their expeditions. He was very engaging and genuinely interested in their stories and adventures. It will have taken over five years for these young people to have earned their Duke of Edinburgh Gold Award, as they progressed through first Bronze and then Silver until they finally achieved the Gold Award. 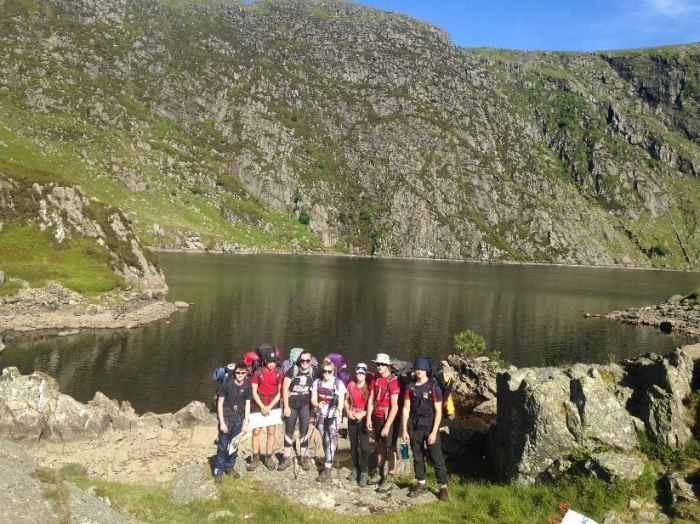 Along the way they have volunteered, learned new skills, taken part in physical activity, and for the Gold undertaken a week long residential, as well as planning and completing self-sufficient expeditions. Building on the success of last year's Careers Fair, the Careers Team have organised a University and Apprenticeship Fair for Thursday 28 March from 5.30pm to 8.30pm. 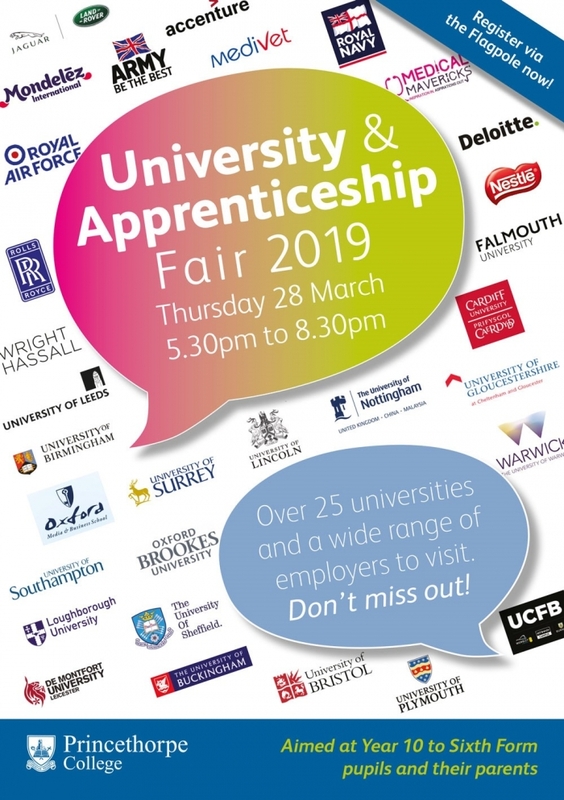 The fair, which is open to all students from Year 10 upwards and their parents, will showcase a wide range of universities, as well as employers who offer degree and advanced apprenticeships. 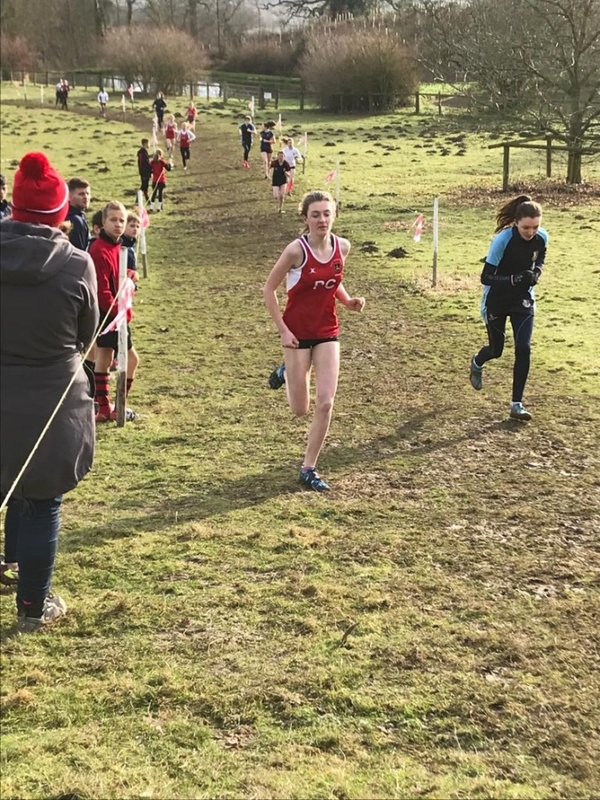 In particular, Lower Sixth students will benefit enormously from this event, and we would urge everyone to come along and bring parents or other family members to ensure that the most is made of this unique opportunity. Universities including Bristol, Birmingham, Loughborough, Warwick and Leeds; and employers including Jaguar Landrover, Rolls Royce, Deloitte and Accenture will be there. There will also be a selection of informative talks during the evening covering a range of essential information. 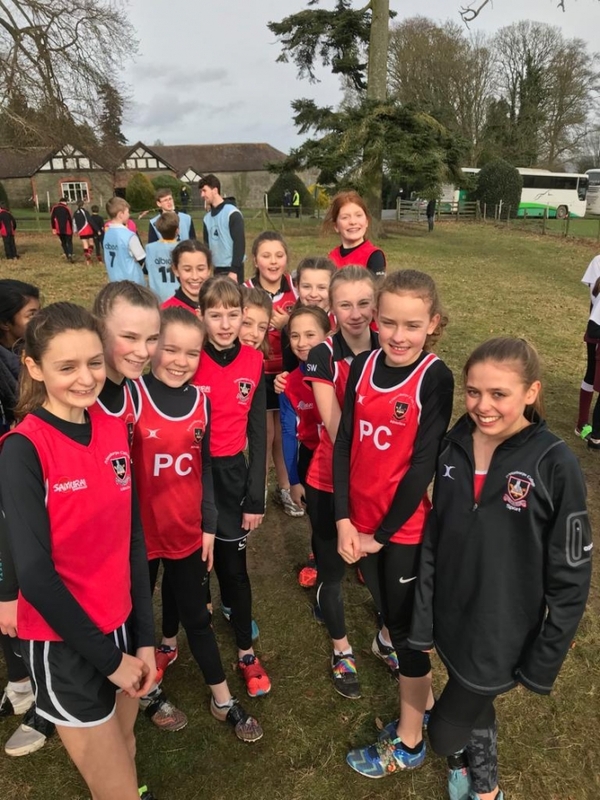 Princethorpe College’s U13 Netballers headed to Malvern St James on Thursday 14 February for the Independent Schools’ Association (ISA) U13 Regional Netball tournament. 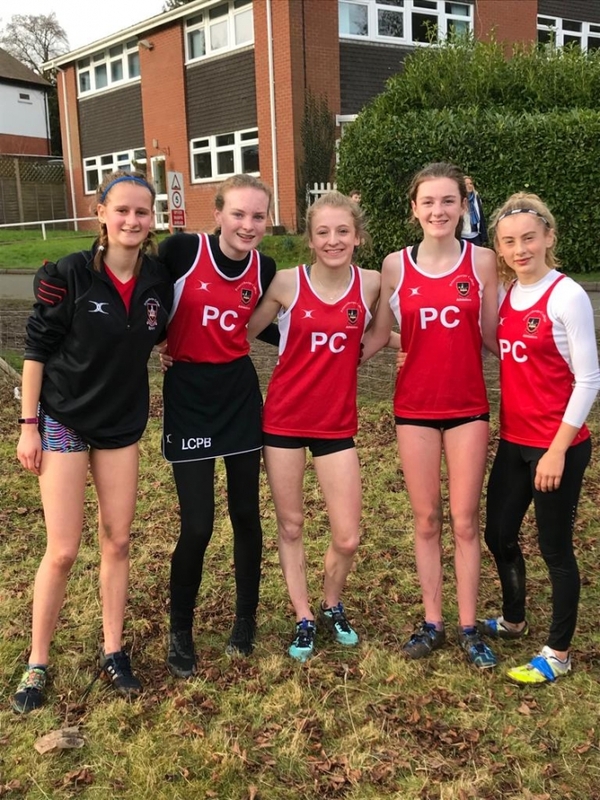 They were facing stiff competition from across the region, but the girls were determined to put their weeks of dedicated training to good use and they did not disappoint. Undefeated from the outset, the girls worked hard to bring the ball slickly down the court providing plenty of goal opportunities. Working well collectively the girls hardly missed a shot. 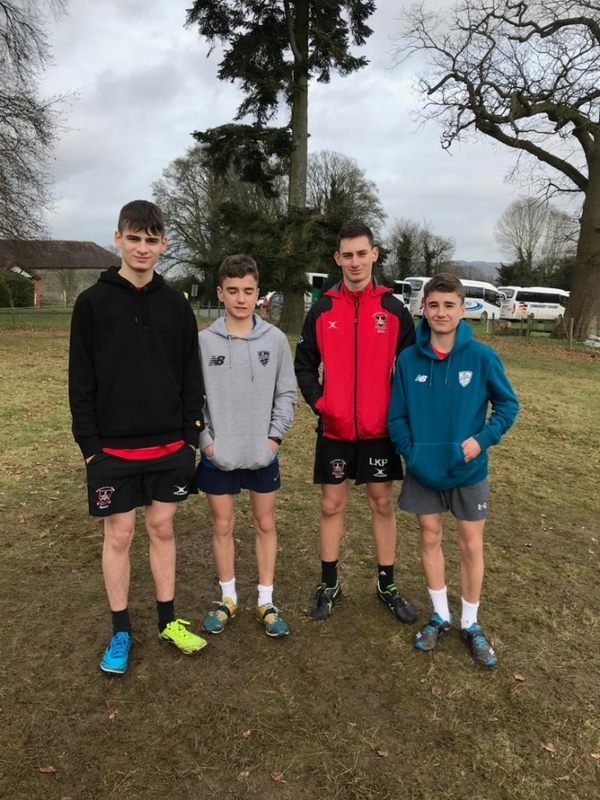 They won five fast-paced group stage matches against Malvern St James 13-1, St Edward's 13-0, Heathfield 14-1, Tettenhall 17-3 and Old Vicarage 17-2, to qualify for the semi-finals. There they played some super netball against Dodderhill to win comfortably 15-0. The final was against Twycross and the girls worked hard, passing and shooting well to win 12-3. 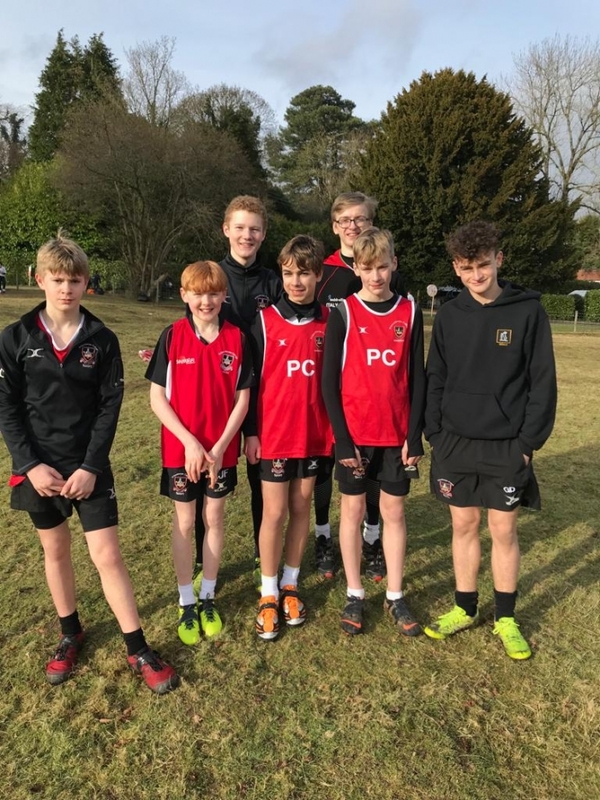 The team’s resilience and determination paid dividends, and their unbeaten-run sees them through to the Independent Schools’ National U13 Netball finals at Queen Ethelburgas’ College up in York on Saturday 16 March. Playing in the team were: Madeleine Burgess, Lara Convey (Captain), Amelie Hancock, Abigail Hewson, Darcey Heritage, Charlotte Lewington, Julia Loftus, Molly McGrory and Alice Whittaker. 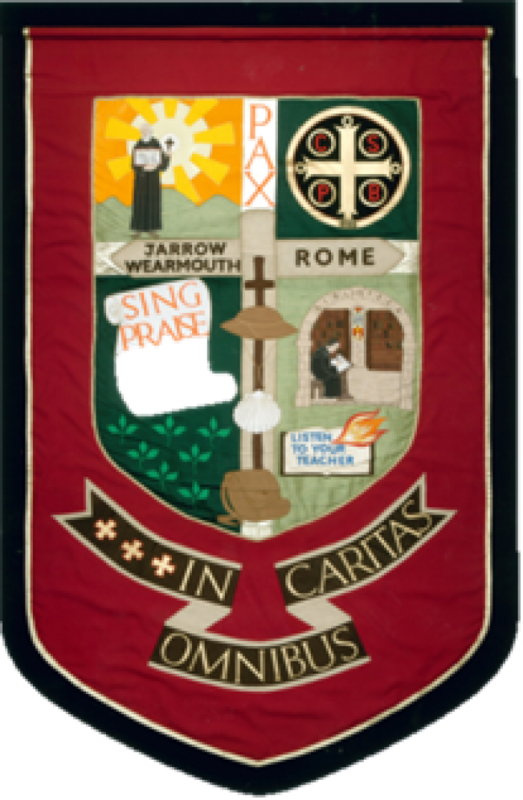 As the banner at the bottom of the drive proclaims the College's Spring Open Afternoon will take place on Sunday 24 March from 2.00pm to 5.00pm. All are welcome to visit the College and younger visitors are encouraged to participate in the many fun subject related activities around the various departments. 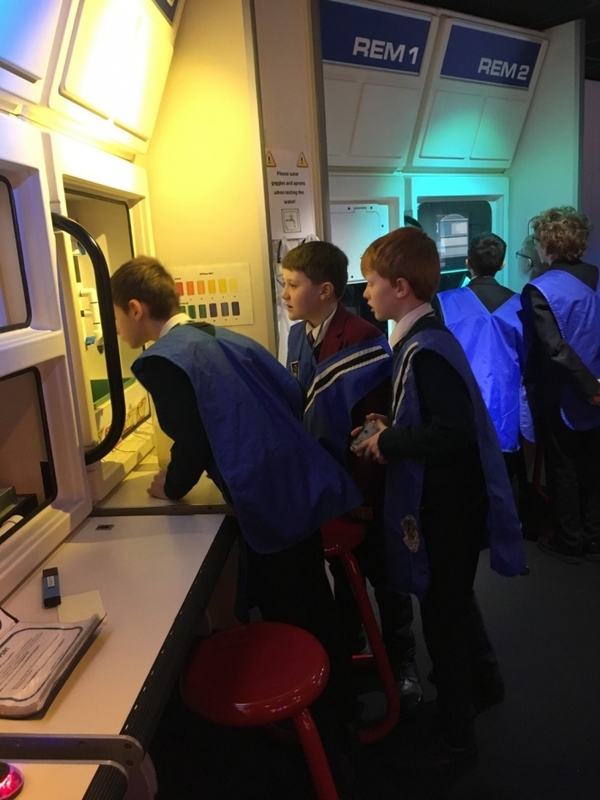 Over the past few years numbers attending our Open Events have grown considerably and we find that we need more and more Princethorpe pupils to help out in various departments - which they do brilliantly. The various Heads of Departments will be approaching pupils direct for their assistance within departments. 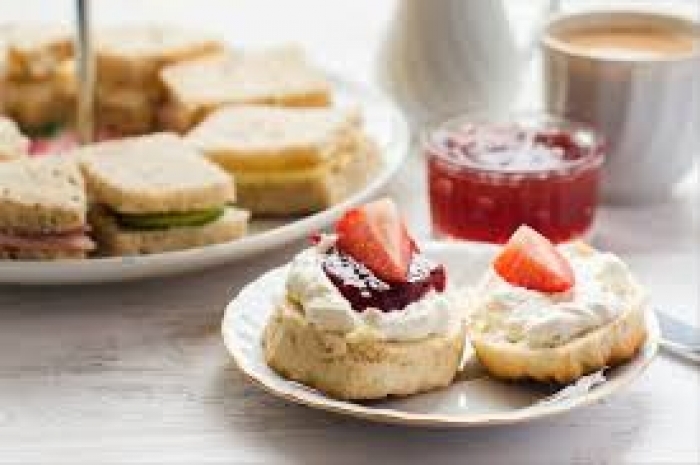 Helpers who have requested lunch before Open Afternoon need to be at College for 12.00 noon (there is no charge), otherwise they need to be in school please by 1.30pm, in school uniform, and go directly to the department they are helping. In order to avoid traffic congestion, we would ask that parents drop off their children by the bus bays at the top of the drive. Children can be collected at 5.15pm from the Pupils' Entrance in the playground. 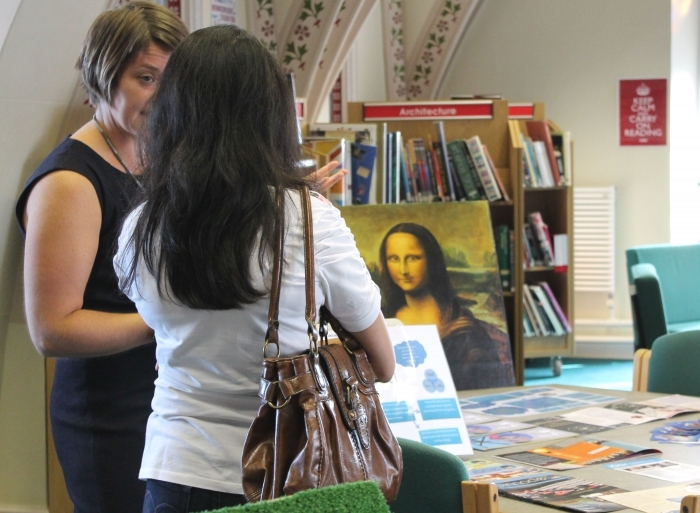 Many thanks for everyone's help with Open Afternoon. 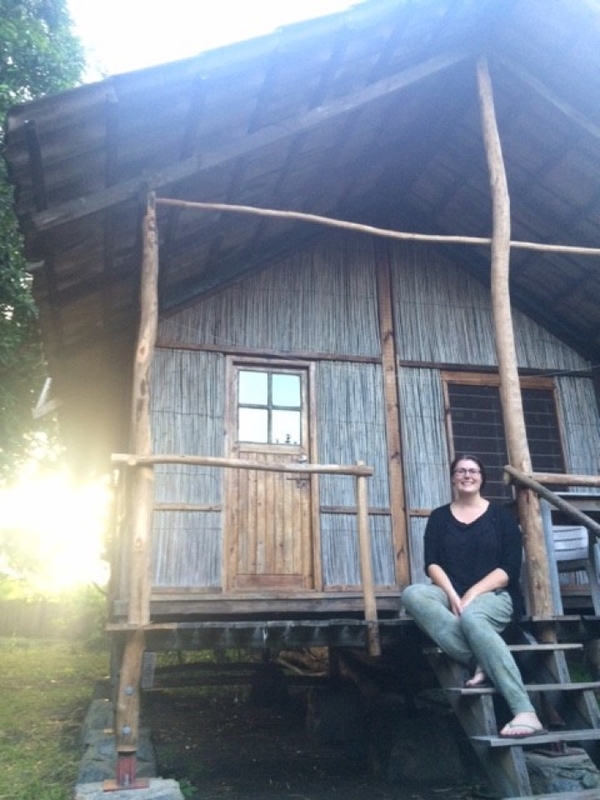 Princethorpe's Head of Biology, Faye Roberts is on a sabbatical year and shares with us here the amazing experiences she has been having. After months of research and planning and more importantly the fantastic support of Princethorpe College to grant me a sabbatical year from work, I headed off to Heathrow as everyone else set about their September inset days. I started with four months in Nepal volunteering with the charity Street Child. They initially started their work there in response to the devastating 2015 earthquake, the aftermath of which is still very apparent in many regions of the country. The focus now is more on developing education programmes with marginalised communities including the Musahar in the south of the country and the families that come with all their children into the valleys, from the mountains to work in brick factories. I spent a lot of my time helping to develop the curriculums and plan lessons to be translated into local dialects and delivered by the social workers who were being trained in the local communities. Nepal is a fascinating country to visit full of culture, heritage and bustling chaotic streets and markets. I went to Lumbini the birth place of Buddha and of course the mighty Himalaya which are just breath-taking. 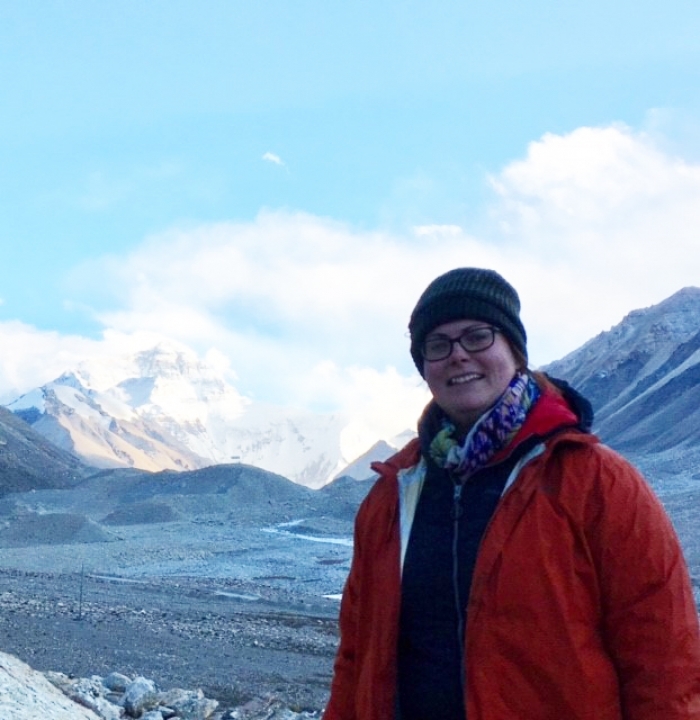 A week-long trip across the Tibetan plateau ended with one of my highlights so far which was spending the night at base camp for Mt Chomolungma (Everest) at 5200m altitude. The skies were clear and perfect views of Everest for sunrise and sunset was really something quite special. A trip to Bhutan, where the focus is GNH (Gross National Happiness) not GDP was also a highlight and a hike up to the amazing Tiger’s Nest Monastery which is built into the mountainside on a sheer cliff. I am currently in rural Malawi living on the lakeside with no electricity like the majority of Malawians, but am lucky to have a little bit of solar power and a water pump on site, which is not a long walk away like most people in the village. I have no need for an alarm clock as a troop of monkeys like to come and chase each other over my roof in the morning. I am teaching Biology and Chemistry at a secondary school to classes of up to 88 pupils with just a blackboard and chalk and support the teachers at several other schools in the area, sharing ideas and planning, when I visit. I also help at a village library with adult literacy and additional Saturday classes for older students who want to get back into school, once they have saved up enough money to pay the fees. I am yet to try eating the lake flies, which you see in big swarms when they hatch over the lake, they’re quite delicious I’m told, but not sure I’m convinced, maybe I’ll go for the roasted termites first! My plans for the rest of the year include; travel to the Seychelles archipelago and the mountainous Kingdom of Lesotho; a month in Ethiopia, including visits to the 12th century rock churches of Lalibela and one of the lowest and hottest places on earth the Danakil Depression. As well as two months in South Africa training to be a Safari Guide. 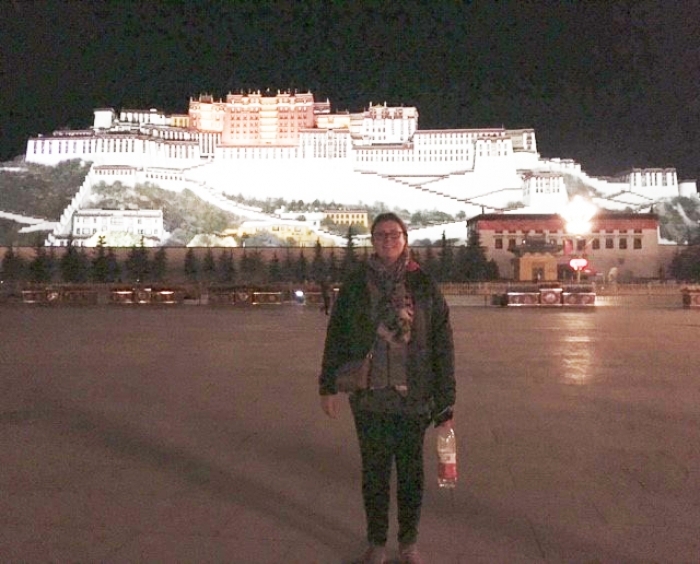 I truly believe that travel and opening your eyes to the rest of the world is such an important part of education and life-long learning and would encourage anyone to step out of their comfort zone and do something that challenges them whatever it may be. 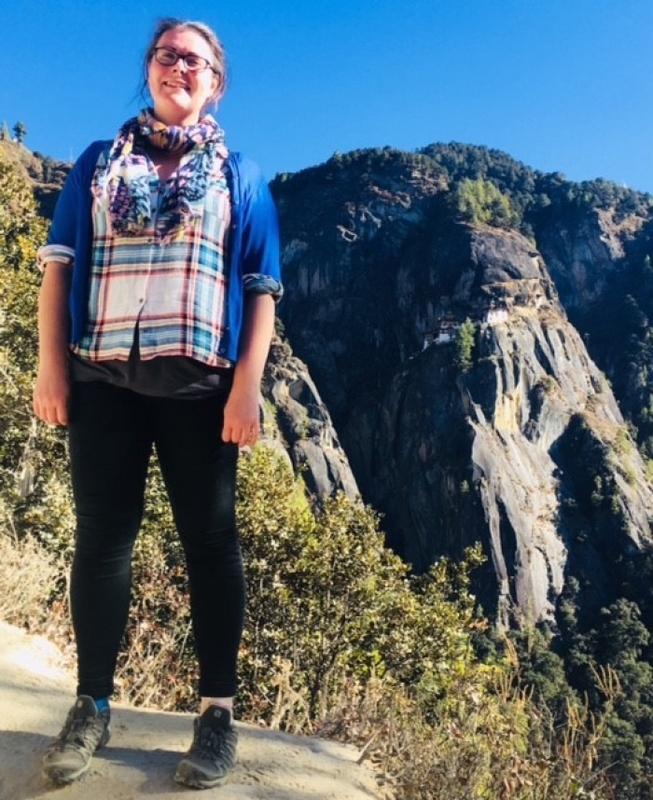 Year 11 pupil, Lauren Mason, has been invited to join the New York Academy of Sciences 2019 cohort of 1000 Girls, 1000 Futures – an innovative initiative designed to engage young women interested in Science, Technology, Engineering, and Maths (STEM), and advance their pursuit of STEM careers through a programme of mentoring, study and 21st-century skills development. 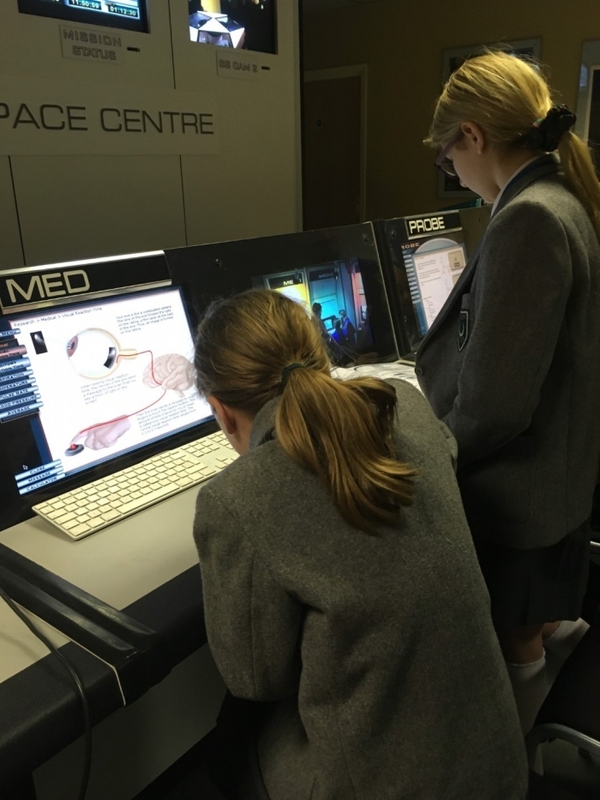 Lauren has been a part of their Junior Academy programme for the last few years and won her place on the 1000 Girls, 1000 Futures initiative after impressing the admissions committee with her deep passion for STEM. As part of the programme, Lauren will participate in one-to-one mentoring from real scientists and engineers, take coursework modules focusing on skills such as leadership, communication, and critical thinking and have the opportunity to network with peers and female STEM professionals. 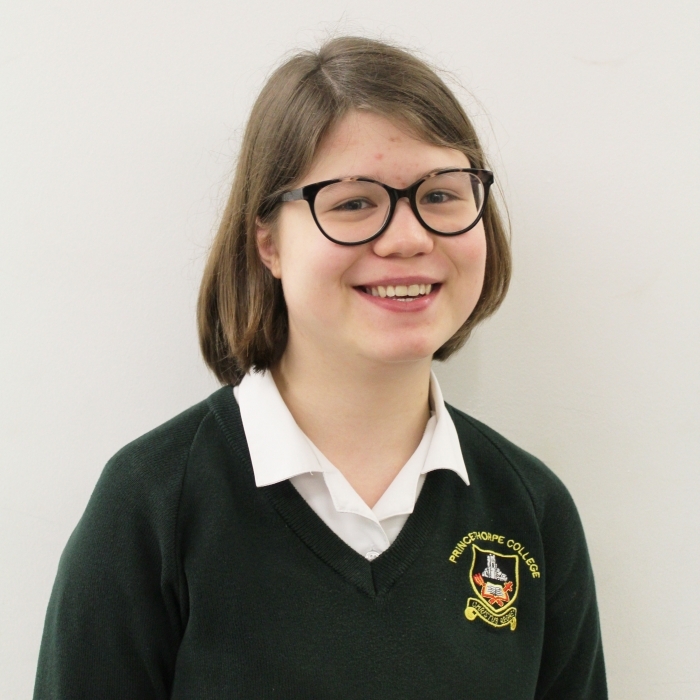 To celebrate her acceptance into 1000 Girls, 1000 Futures programme, Lauren has also been accepted as a Young Member of the New York Academy of Sciences. 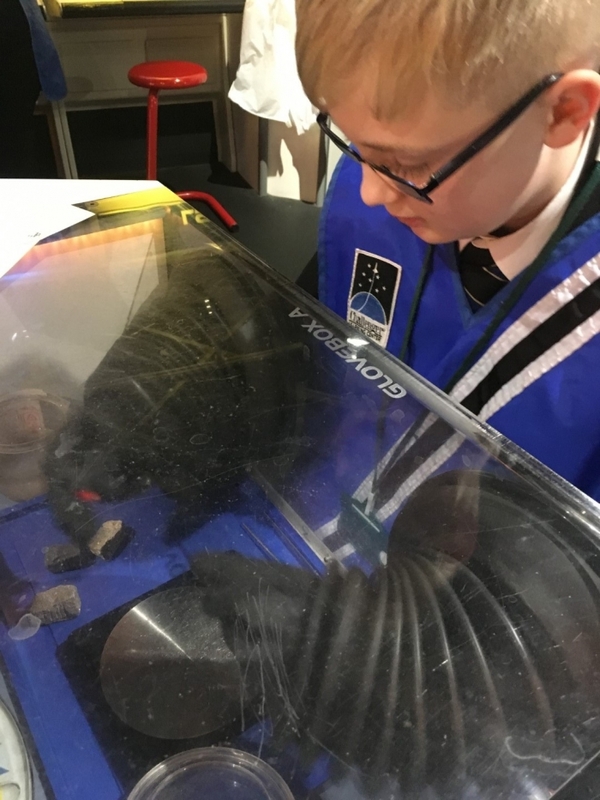 The Young Members are an incredibly diverse group of innovators, explorers and problem-solvers, united by a shared curiosity about the universe and a strong commitment to changing the world through STEM. 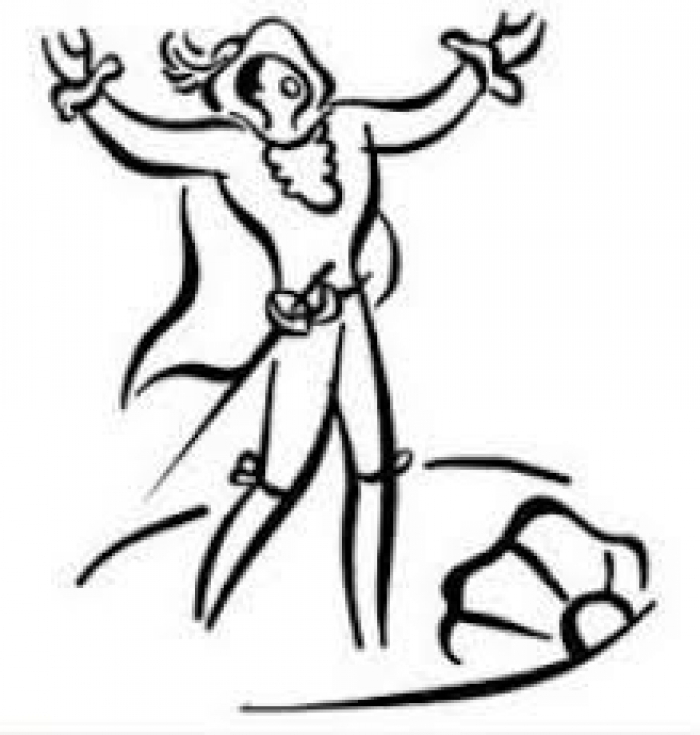 Old Princethorpian E-newsletter Out Now! Click here to access the thirtieth issue of the Old Princethorpian which was published on Friday 15 February. 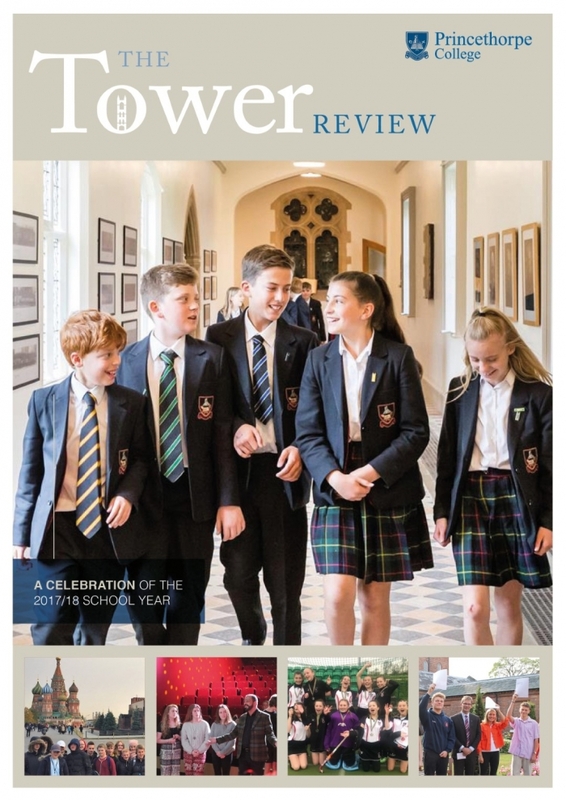 This issue includes the latest OP, College and Foundation news and events plus plenty of updates from OPs across the decades. 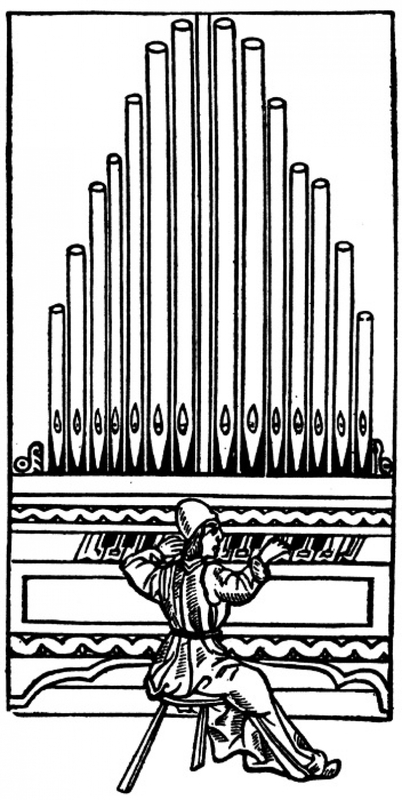 If you are an OP or know an OP who would like to share their news or pictures with us for the next issue due out in mid May please email oldprincethorpians@princethorpe.co.uk by early May. If you would like to be added to the distribution list please email Old Princethorpians' Secretary Melanie Butler. 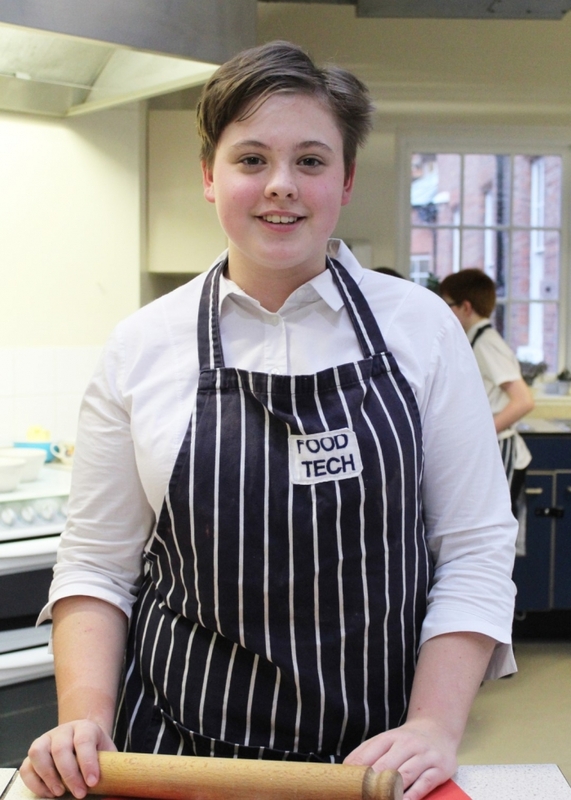 Many congratulations to Year 8 pupil Chloe O’Carroll-Bailey who came second in the Coventry and Warwickshire Springboard Futurechef Regional Final that took place, just before half term, on Monday 11 February at Coventry College’s Henley Campus. At the event Chief Judge George Outhwaite, from the Hilton Birmingham Metropole said: “The quality of today’s dishes was exceptional and I’ve seen some really high standards, the competition seems to get better every year”. Individual red and white carnations were hand delivered by Sixth Formers to classrooms across Princethorpe College on Thursday 14 February, all in celebration of St Valentine’s Day. In the preceding weeks Princethorpe’s Sixth Form students had been busy promoting their charity fundraiser in aid of the British Heart Foundation. Late on Wednesday afternoon, Princethorpe’s very own Cupids, began preparing the flowers, delicately wrapping and handwriting personal messages for the anonymous gifts, before beginning their surprise deliveries. There were red carnations for that very special someone and white carnations as a thank you to a great friend. 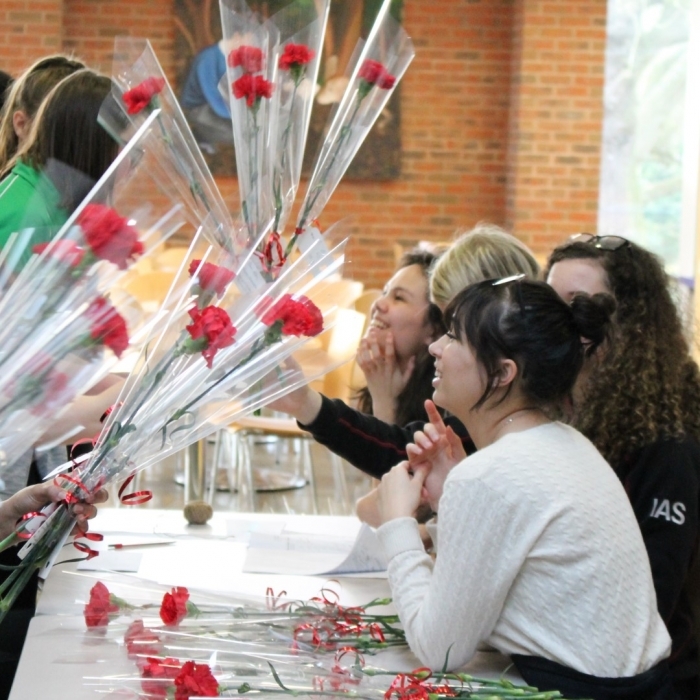 This year there were over 115 lucky recipients and the Sixth Formers raised £230, and thanks to a generous donor buying the flowers, all of funds will be donated to help the British Heart Foundation ‘Beat heartbreak forever’. We hope you enjoyed your Valentine's Day everyone. 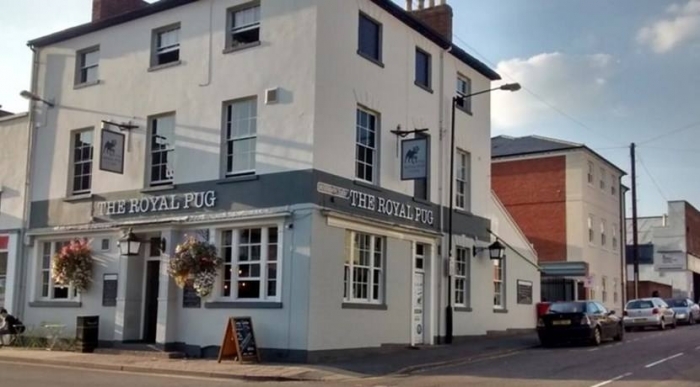 The OPs annual Leamington Pub Meet takes place tonight at the Royal Pug pub on Regent Street. Tickets are not required for this event, but please let us know if you would like to attend by emailing vickyroberts@princethorpe.co.uk by 10am on Monday 4 March. 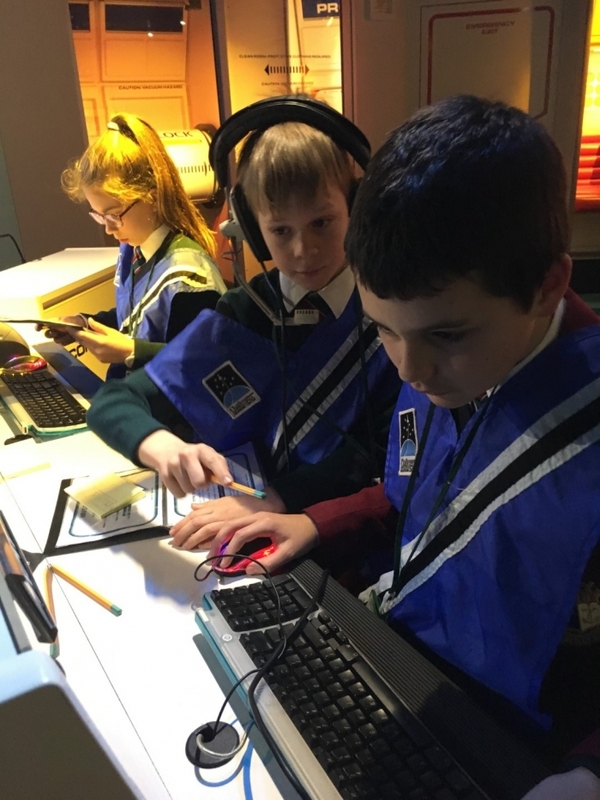 To purchase/reserve tickets please click here to complete the form and return to the Student Hub for the attention of Anne O’Rourke, PTA Treasurer, via your child, by Monday, 4 March in order to enable us to plan our catering. 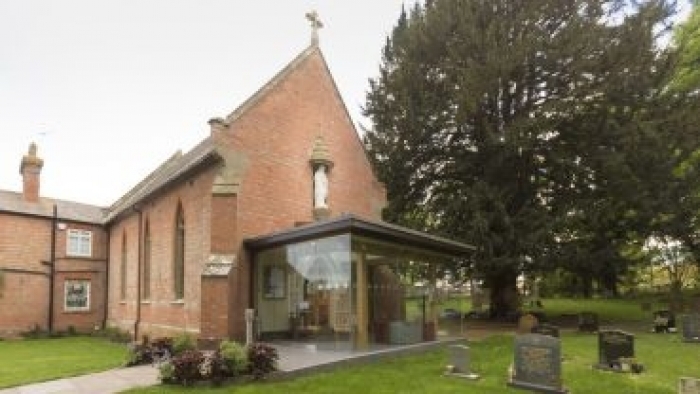 Former Princethorpe Deputy-Head, Margaret Louise O’Keeffe returns by popular request to present an illustrated talk Letters to Mother on Tuesday 19 March 2019 at 7.30pm. We are delighted to welcome parents and friends to this informal evening where you will have the opportunity to see our more advanced LAMDA students perform some of their examination pieces. 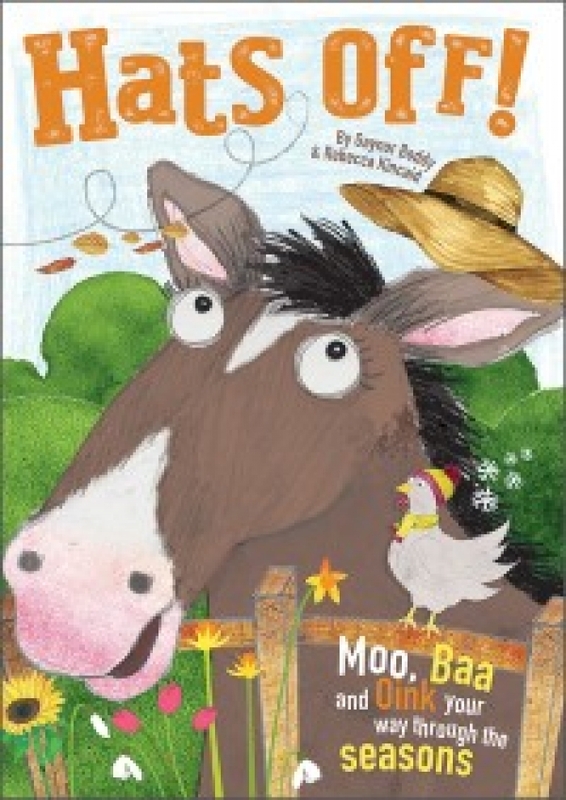 Please note that the material is age appropriate and may not be suitable for very young audience members. Tickets are not required for this event. Refreshments will be served after the performance when our LAMDA teachers look forward to meeting you. 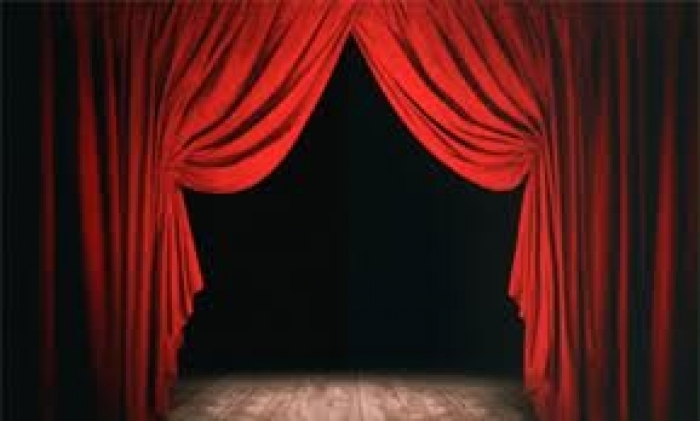 Individual performers will be contacted directly through their LAMDA teacher. 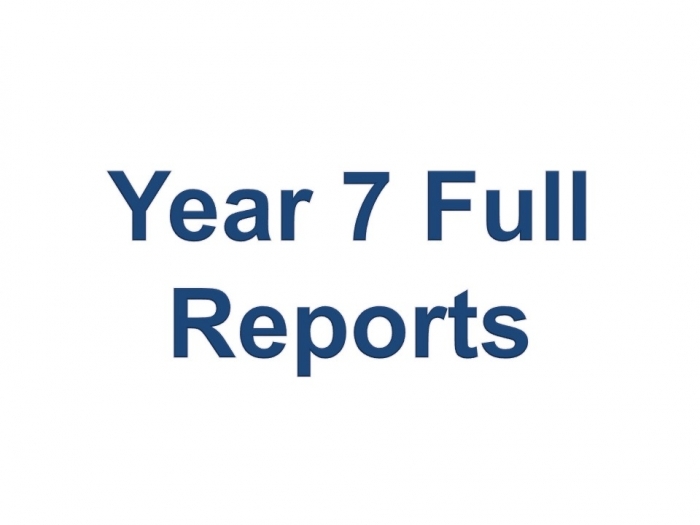 Reports for Year 7 will be posted out on Friday 8 March 2019. They will also be available to view on the Parent Portal. 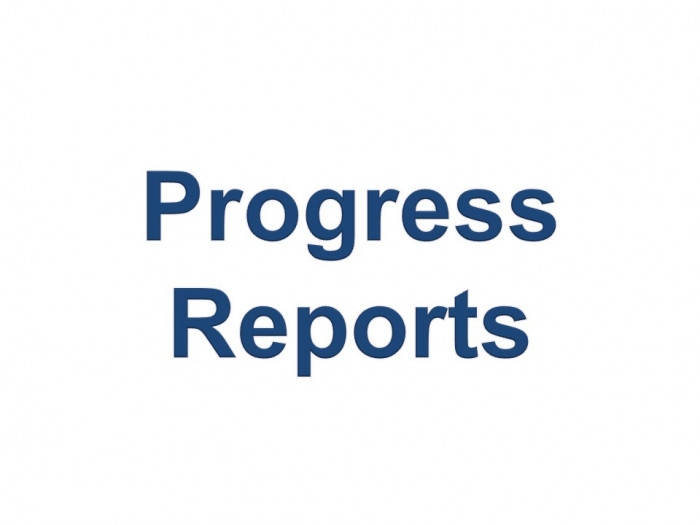 Year 11 and Upper Sixth Mock Exam Reports will be published to the parent portals on Friday 15 March 2019. 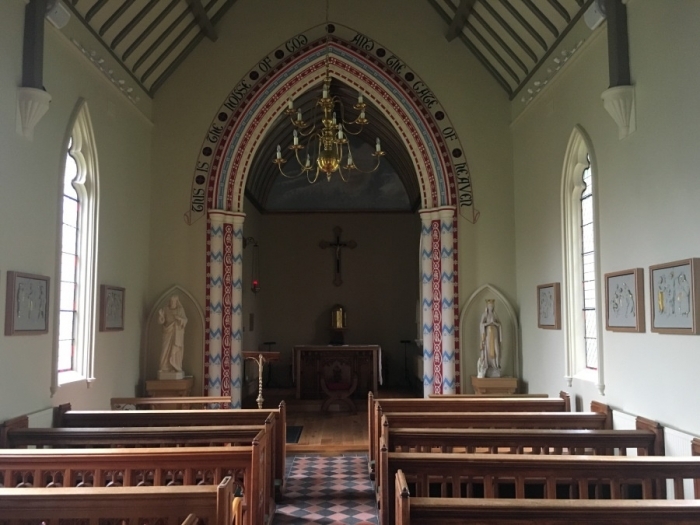 Once published, you will receive an email notification from Shellagh Dodds, our Examinations Officer, advising that the reports are available to download. 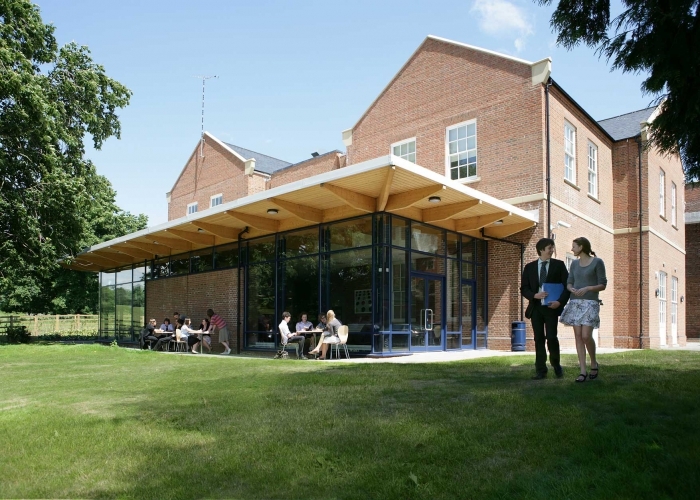 For Upper Sixth parents, there will be an opportunity to discuss your child’s report at the forthcoming Upper Sixth Parents’ Evening on Tuesday 19 March 2019. 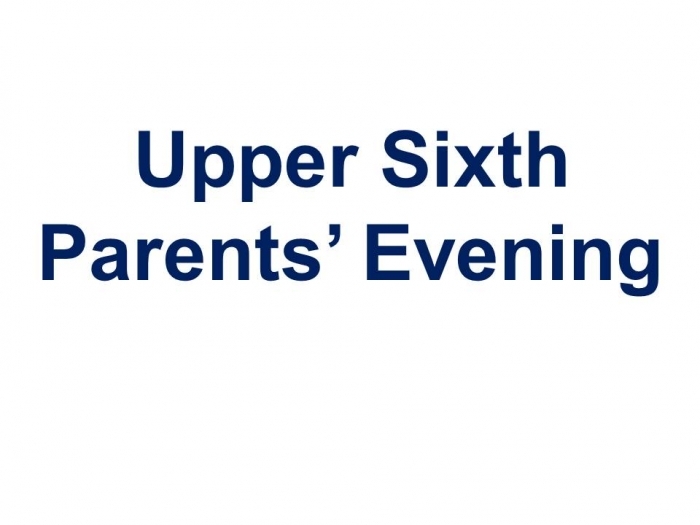 The Upper Sixth Parents’ Evening takes place on Tuesday 19 March from 6.00pm to 8.30pm in the Sports Hall. We will continue with the new system introduced successfully last year and offer the option of a two course supper for you and your family, at a cost of £2.00 per head, and served across three sittings, 5.30pm to 6.00pm, 6.00pm to 6.30pm and 6.30pm to 7.00pm. 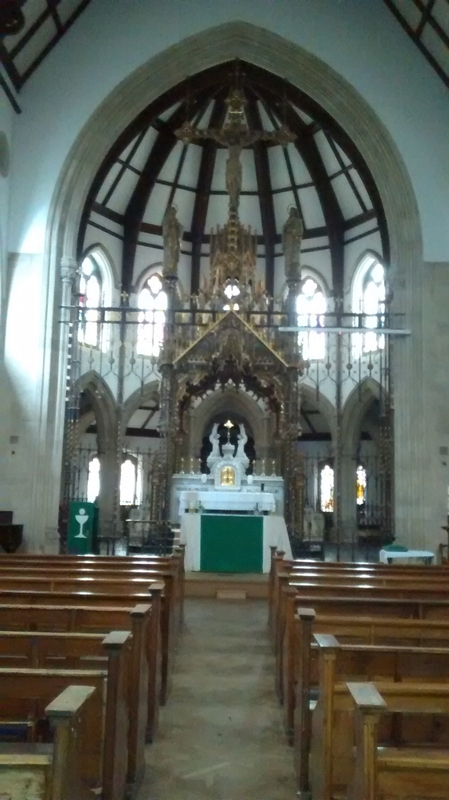 Supper will be served in the Refectory. We will also provide two supervised areas where siblings can wait whilst you and your son or daughter meet with the teaching staff. There will be a film screening in one room and for those looking for a quieter environment a second area will be provided where they can relax or study. To help us with the smooth running of Parents’ Evening and so that we can cater efficiently we would be grateful if everyone who would like to book for supper could complete the RSVP Form by clicking here no later than 10.00am on Friday, 15 March. Please make sure to arrive by 7.30pm at the latest. Parents arriving later than that may not be able to see all the relevant teachers before the event closes at 8.30pm. • There is no appointment system. You should allow approximately ten minutes per teacher – a timer will sound every five minutes to assist with keeping discussions within this timeframe. Teachers with a large number of students may not be able to provide ten minutes per family; if that is the case, they will email parents to let them know in advance. • Please leave the building by the main entrance to the Limes and sign out at the exit as you leave. 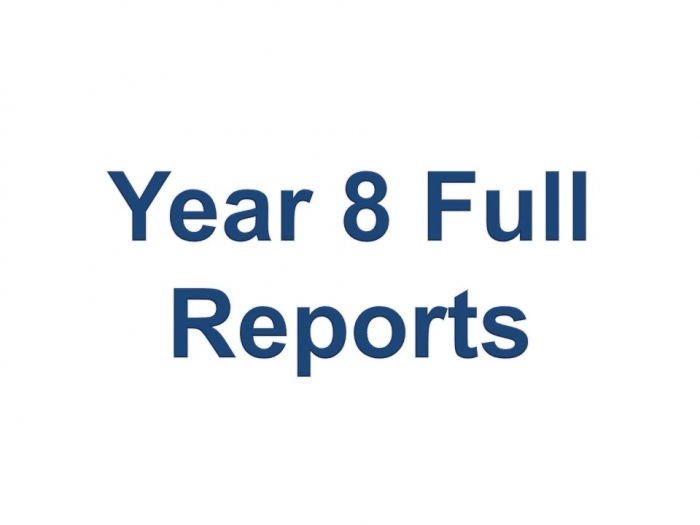 Reports for Year 8 will be posted out on Friday 22 March 2019. They will also be available to view on the Parent Portal. 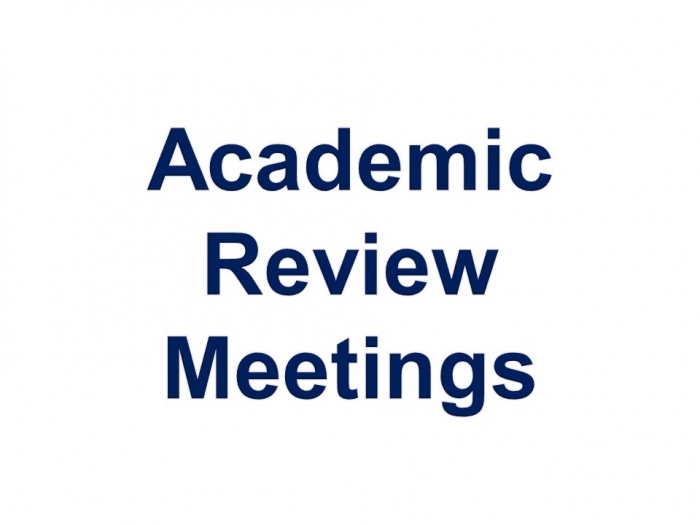 Please note that Upper Sixth study leave will commence after school on Friday 10 May. 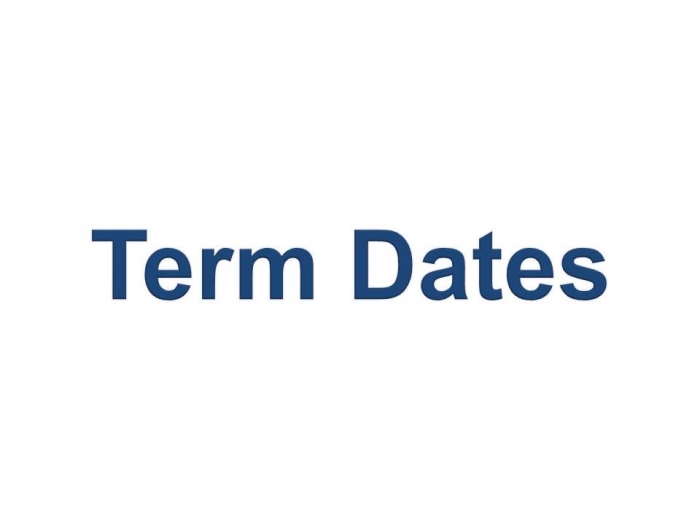 For the first time this year, JCQ have timetabled a contingency day and candidates should be available for all dates up to and including Wednesday 26 June. This is to allow time for rescheduling exams in the unlikely event of a national disruption. 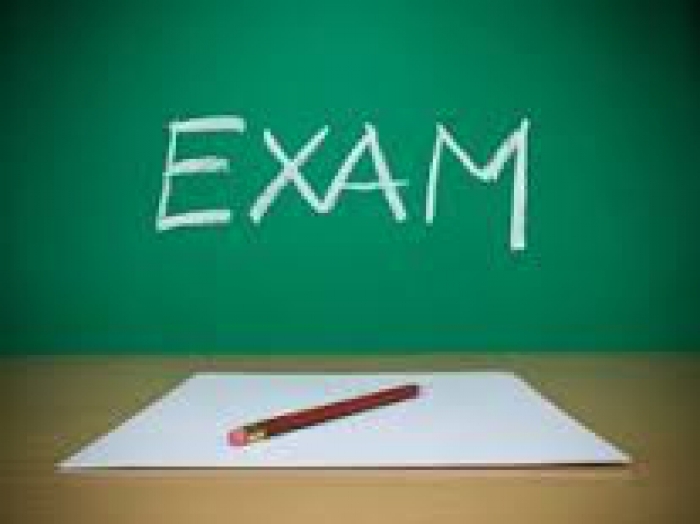 Where candidates choose not to be available for the rescheduled examination(s) for reasons other than those traditionally covered by special consideration, they will not be eligible for enhanced grading arrangements. On Monday 18 March 2019 the Immunisation Team will be in school to offer all Year 9 pupils a booster of the Diptheria, Tetanus and Polio vaccination, this will complete the course they started as babies. In addition pupils will be offered the Meningitis ACWY vaccine. Consent forms and further information have been sent home with pupils this week. Please could parents sign and return consent forms to myself prior to the vaccination date. If you wish to decline the vaccination at this time, please annotate on the consent form and return so that we can update our records. If you would like any further information or have any questions, please do not hesitate to contact me on 01926 634214 or at paulagreig@princethorpe.co.uk. 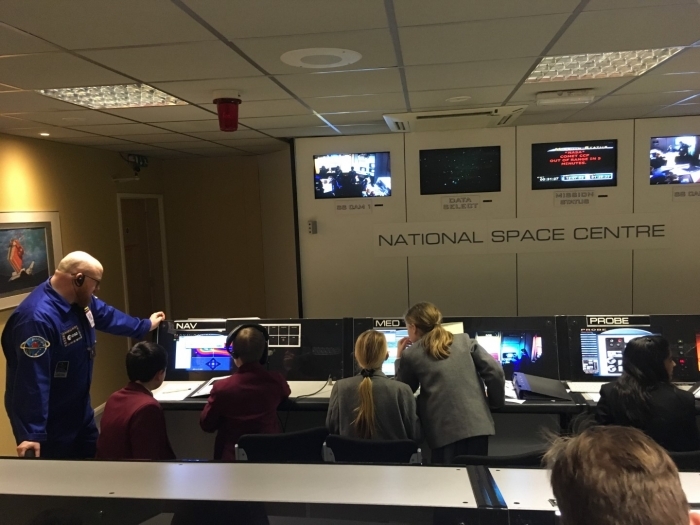 Taster days for students aged 14 to 17 years, are available throughout 2019 and will operate on a 'first come first served' basis. 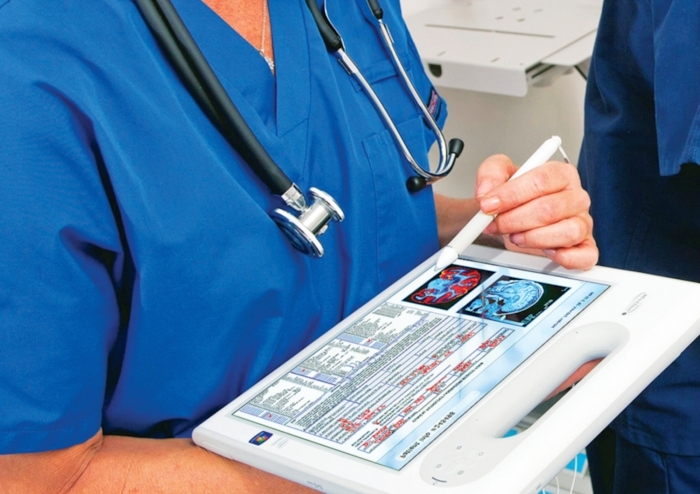 A Taster week is also available and includes Pathology, Sterile Services, Theatres, Surgical Training and Air Ambulance. The date being offered is week commencing 8 July 2019. Please email workexperience@uhcw.nhs.uk to book your place. 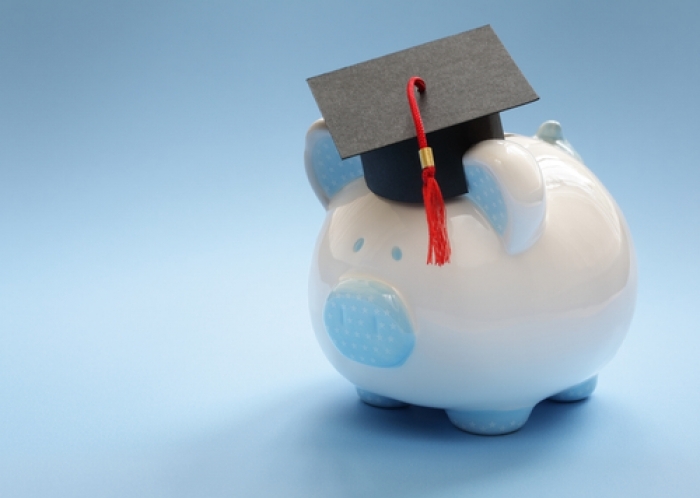 Student Finance applications for students starting their university study later this year are open now. Please see below some top application tips. Parents who are supporting the application may find it helpful to have their P60 for 2017/18 and any other income information to hand. Students should apply as soon as they can by visiting www.gov.uk/student-finance . The deadline for application is 24 May 2019. It doesn’t matter if you haven't yet decided where it is you want to study. Just apply using your current first choice and this can be updated easily later through your online account. We have over 70 pupils and staff signed up for our Mary’s Meals sponsored walk challenge on Sunday 10 March 2019 and 25 pupils and staff signed up for the Coventry Way Challenge (40 miles) on Sunday 7 April. Parents of those Sixth Form students taking part have been invited to a special talk by Peter Higgins, co-founder of Charles Tyrwhitt Shirts. 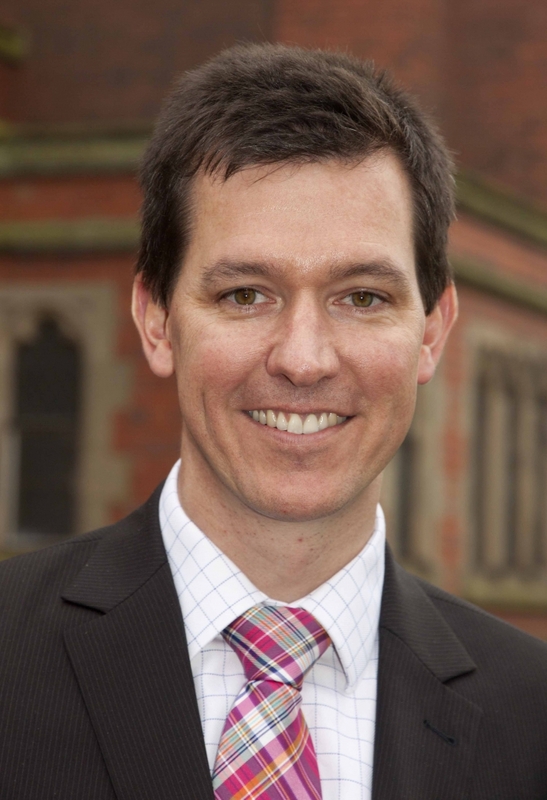 He is passionate about Mary’s Meals and particularly likes that donors can have a real connection with the communities through the school sponsorships and regular updates on the Friday afternoon before the walk (8 March 2019). Our third training walk took place last Sunday – a substantial seventeen miles from Brinklow to Meriden. 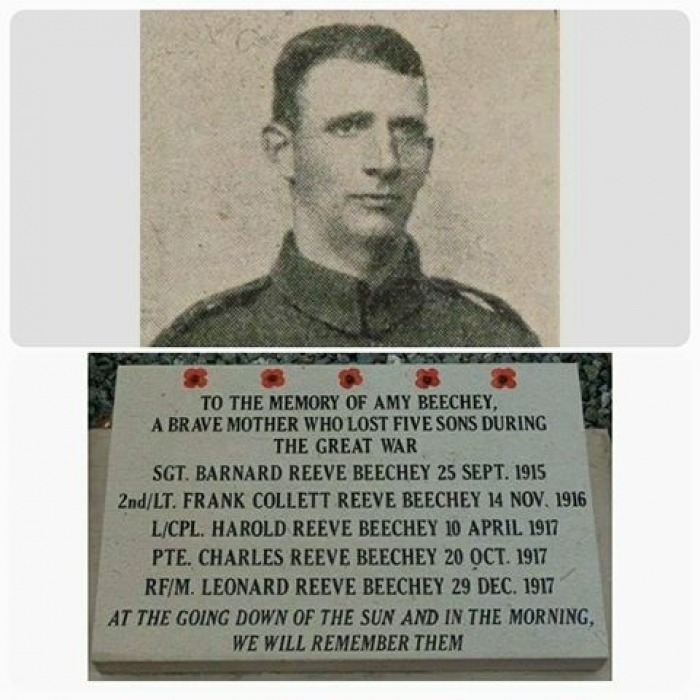 These walks are a major challenge for all taking part but they could not be for a more worthy cause. 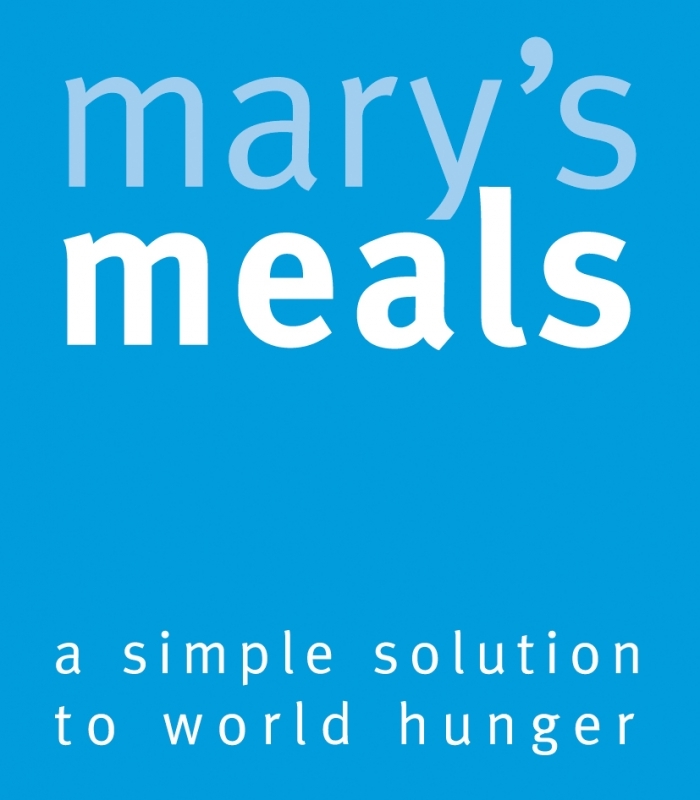 Mary’s Meals was founded back in 2002 with a small project to feed 200 children in a school in Malawi. Mary's Meals is proud to have now served it's billionth meal in India and, for the first time, has begun feeding children in Ethiopia - the fifteenth county to receive Mary's Meals. Why not support our intrepid walkers by sponsoring one or more children? You can make a donation via the on-line page, simply click here to make your pledge. We’ve already raised over £2,400 this academic year. 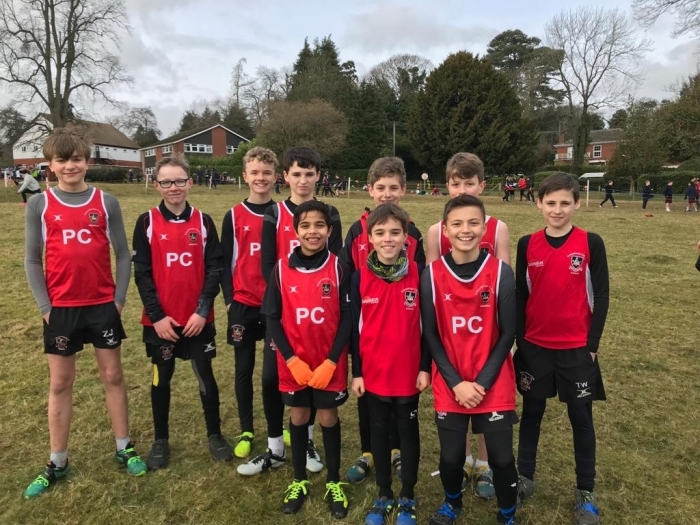 Princethorpe College aim to raise enough money to feed six hundred and thirty-six children for a whole school year at Makalanga Primary School in Malawi - £8,841 in total. This simple initiative has helped children all over the world receive a daily meal in school and since 2007 Princethorpe College has been a part of that, raising in excess of £60,000. The average cost of a daily meal is £13.90. Mary’s Meals is still expanding its work, seeking to provide every hungry child with a daily meal in their place of education. The charity now provides a daily meal to 1,230,171 children. Spare jar? Spare change? Then this challenge is for you! For this year’s house charity challenge we are fundraising for the Juvenile Diabetes Research Foundation (JDRF). There are currently 400,000 people in the UK with type 1 diabetes and over 29,000 of them are children. JDRF funds world-class research approved and administered by their international research programme to cure, treat and prevent type 1 diabetes. Please bring in any spare change you have on Tuesday 12 March and hand this to your form tutor or House Activities Coordinator. We will be lining up your pennies and whichever house has the largest quantity of pennies will win a prize, as will the house with the most amount of money raised. 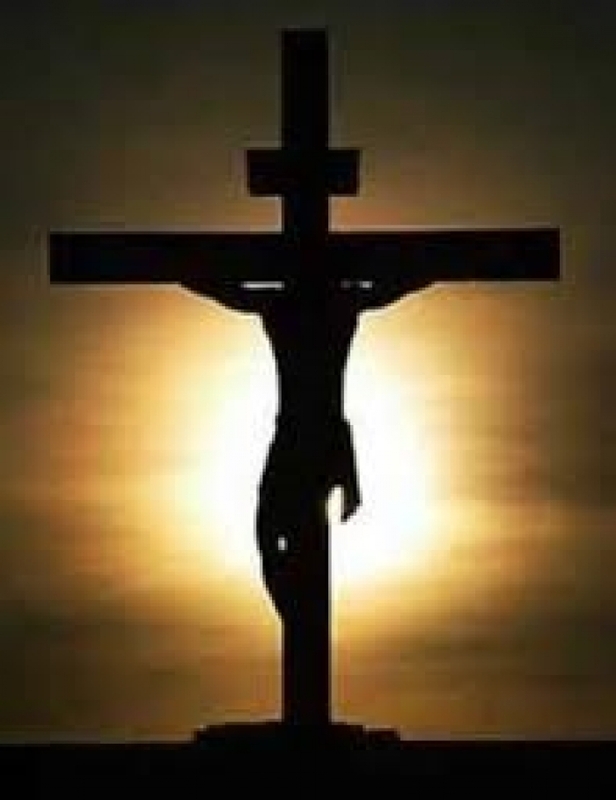 Remember . . . every penny counts! 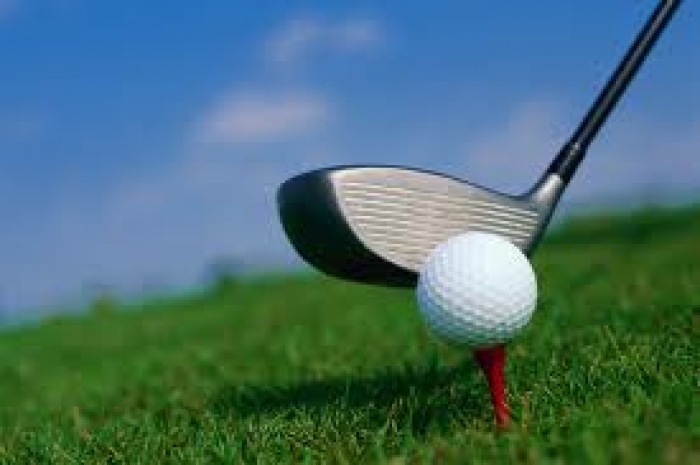 On Friday 8 April 2011, 16 teams of golfers challenged for the title of Princethorpe Open winners. . .
£30 per head or £120 per team for a shot at the title plus, nearest the pin competition, longest drive, raffle prizes and a chance to win a signed Martin Johnson, World Cup winning Captain, England rugby jersey. We are continuing with the process of organising the return visit of our Dutch hosts from October 2018. 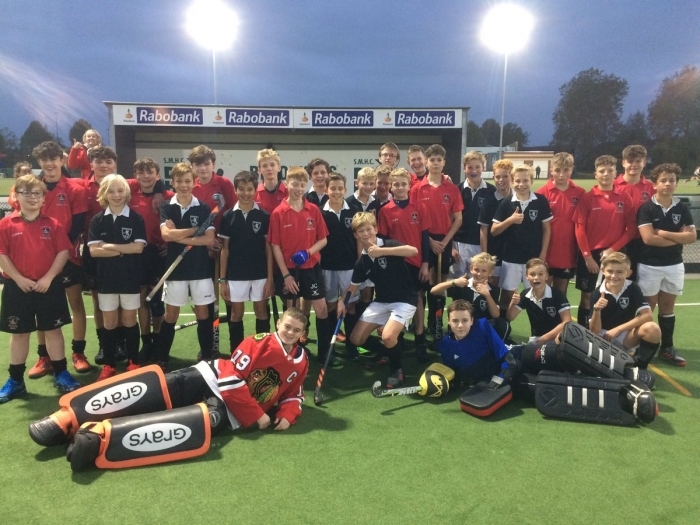 We are looking forward to reciprocating the fantastic experience which our pupils received during our four night experience with the players from Hopbel Hockey club. The return dates are from the evening of Saturday 27 April through to the morning of Wednesday 1 May. 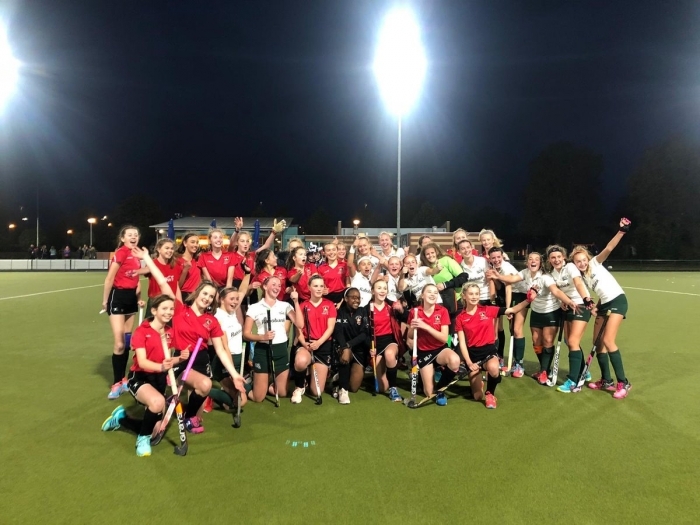 The 31 girls are a variety of ages, between 12 and 15 and this may be of interest if your child would like to attend the Holland visit in October 2019. In order to host, we are looking for families who can offer a bed to a pair (or more) of Dutch visitors and willing to entertain and involve them in your family life for the 4 nights. We will organise an itinerary of fixtures, activities during the school day and a BBQ for our guests with their host families on the final evening. We will let you know who the other host families are so that you can organise other events together if you wish. 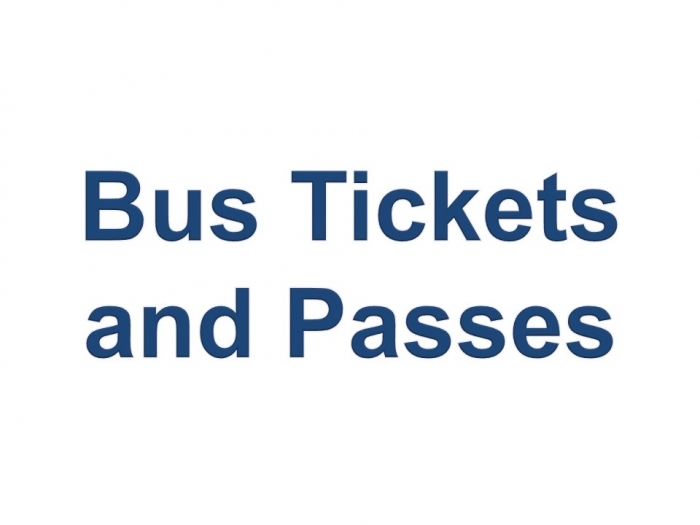 Transport to school will be through the normal way which your children comes to school (we will supply the bus tickets for the Dutch visitors) but they will need to be picked up after fixtures each day from College. Due to requisite safeguarding checks, all adults within the household must hold a DBS certificate sent for by the Princethorpe Foundation, even if they currently have a DBS certificate from another employer or had a DBS for the exchange last year. If they have subscribed to the DBS Update Service, please do let us know. 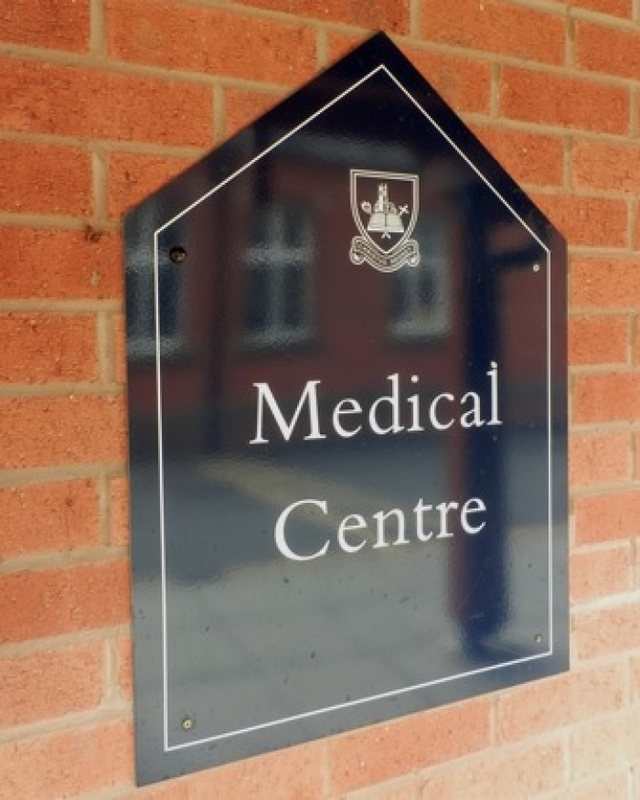 To allow time for the DBS certificates to be received before the tour, please can you book an appointment with our Recruitment Coordinators as soon as possible on 01926 634269 or alternatively email recruitment@princethorpe.co.uk. It should only take 15 minutes per person to apply for the DBS certificates. Many thanks for your continued support of Princethorpe sport and we hope that you can continue this by hosting some Dutch guests in April. 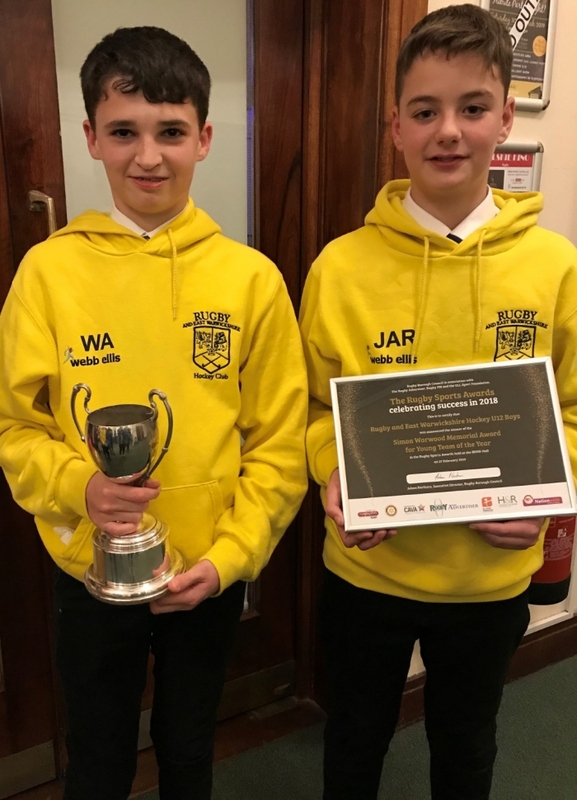 Many congratulations to Year 8 pupils James Robinson and Will Antrobus who are both members of the Rugby and East Warwickshire’s U12 boys hockey team that was presented with the Rugby Sports ‘The Simon Warwood Memorial Award for the Young Team of the Year’ for their outstanding sporting achievements in 2018. The award was presented at this year’s Rugby Sports Awards that took place this week on Wednesday evening at the BENN Hall. Well done boys we are very proud of you. Please look at this article with interest as it may help you with the quiz next week! The Oscars Are Coming To Town! 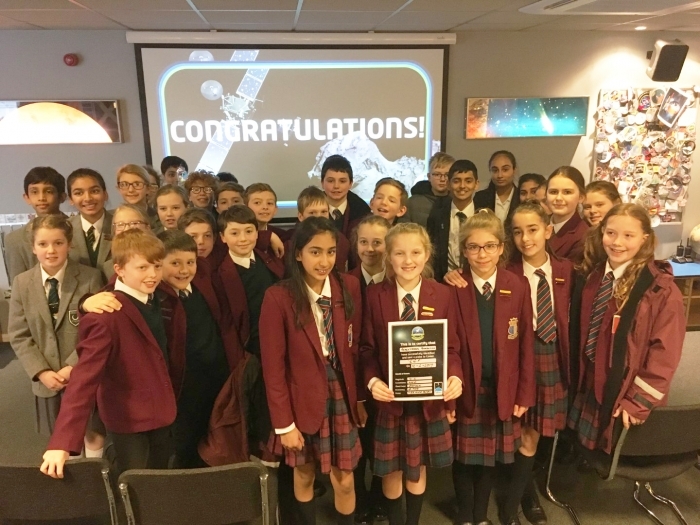 The Princethorpe Oscars VI – The Hexalogy will take place on Thursday 21 March, when the red carpet will be rolled out for another fantastic evening of Hollywood fun. Pupils wishing to submit film entries must complete an Entry Form and return this to Mr Hunter by Tuesday 19 March, 9.00am along with a copy of their film on a memory stick. Entries must be no longer than 8 minutes. If you wish to join us for popcorn, pick’n’mix and an entertaining set of entries, please contact Lauren Prydderch on 01926 634266 or email laurenprydderch@princethorpe.co.uk to reserve your free tickets. I am delighted to announce that the DofE Certificate Presentation Evening will take place on Thursday 7 March 2019 from 6.30pm - 8.30pm. Our guest speaker will be adventurer Squash Falconer. Invitations will be sent out over the next few weeks to all who have completed everything on the eDofE website. Those who attended the cycling and rock climbing trips in the summer will also be invited. A number of those who took part in the scheme last year have yet to complete their award. Please follow the instructions provided in this guide to complete your sections and guarantee your invite to this exciting event. Second Parent Meeting 6.00pm - 7.00pm in the Clarkson theatre. Final trip details will be provided including confirmed departure and return times. A representative from ‘IBT’, our tour company, will give a presentation and be on hand to answer questions. Ski Trip Practice to Ackers Adventure, Birmingham. 3.45pm - 8.30pm. 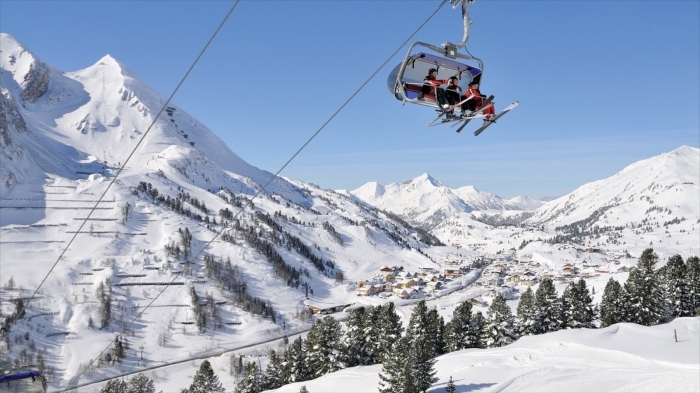 Ski gloves, ski socks and warm waterproof clothing are required, as well as a packed tea. Places are still available, please contact me if you would like to give consent for this voluntary trip. *Departure and return times are still to be confirmed. Lockwoods Ski Shop in Leamington have kindly offered all students on the trip a 10% discount on all products. To take advantage of this offer, please print this voucher and show it at the till. Please contact me if you have any questions regarding the trip. 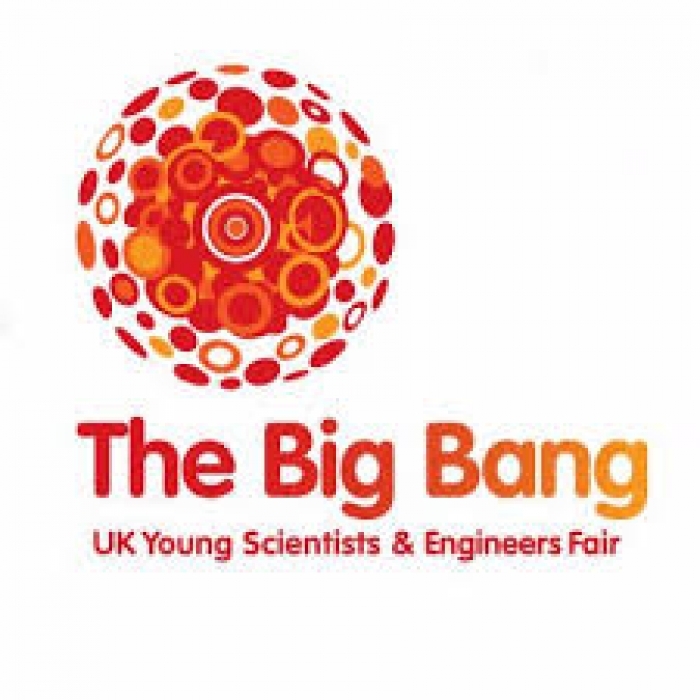 All Year 7 pupils are invited to join us on a voyage of discovery of virtual reality, medicine, marine biology, film and TV, space exploration, explosive chemistry, crime-solving, robots, computer coding, microscopic bugs, giant trucks and more at the annual Year 7 visit to the Big Bang Fair at the NEC, Birmingham on Wednesday 13 March 2019. 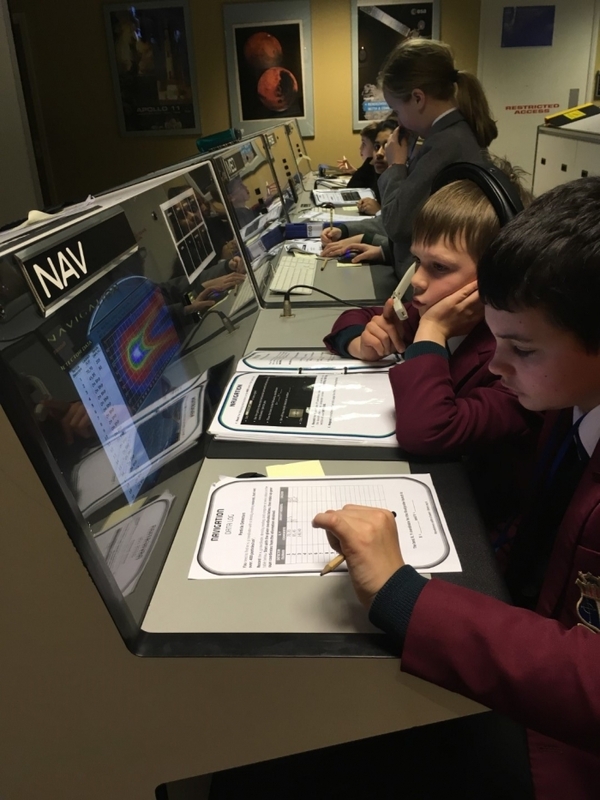 The pupils get the opportunity to see how what they learn at schools is used by real people in real jobs. 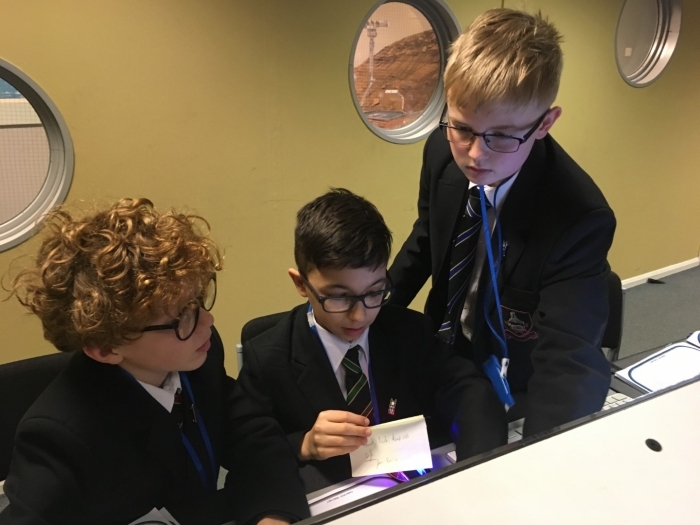 They will get the chance to hear from inspiring engineers and scientists from some of the UK’s biggest companies and find out about the opportunities available in science and engineering. We will leave Princethorpe by coach at 9.00am and return to College by 3.30pm. Pupils are expected to wear full school uniform and to bring a packed lunch. There are refreshment stands and pupils are permitted to bring a small amount of money. The cost of the trip is £5.00 to cover the transportation costs and this will, should your child wish to come, be added to your bill (entry tickets are free). Please note that the deadline for consenting to the trip is Monday 4 March. Required for September 2019, an enthusiastic, innovative and highly motivated teacher to deliver an outstanding programme of Modern Foreign Languages to pupils aged from 4-11. There are two part-time positions available and candidates are invited to apply for both, which would equate to a full time role, or for either of the roles on a part time basis. 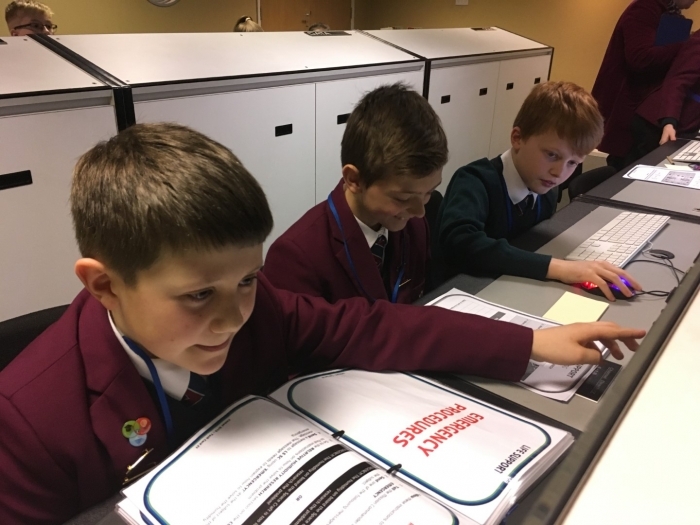 One role based at Crackley Hall is equivalent to 0.55 of a full timetable and the second role at Crescent School is equivalent to 0.45. The exact days and FTE are negotiable for the right candidate(s). The successful candidate will be able to offer French to a high standard and may also offer other modern languages. An enthusiasm to become involved with the extra-curricular life of the school is also important. Candidates should be able to demonstrate outstanding teaching skills in the classroom and be effective team players. This is an excellent opportunity to join the fast growing Foundation that values its staff and offers a rewarding benefits package including discounted places for staff, a pension scheme, child care vouchers and a cycle to work scheme. 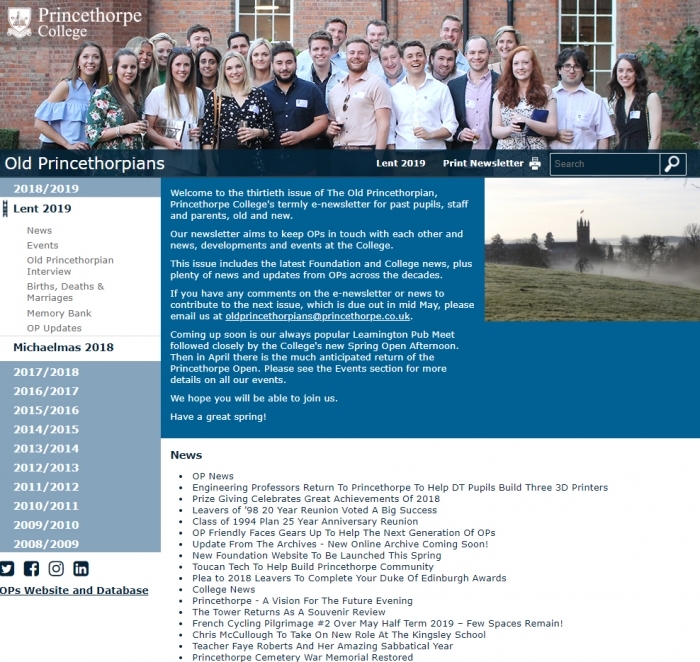 Application: To apply for this vacancy applicants must submit a Princethorpe Foundation application form, together with a CV and covering letter detailing their personal qualities, experience and how they meet the person specification for the role. 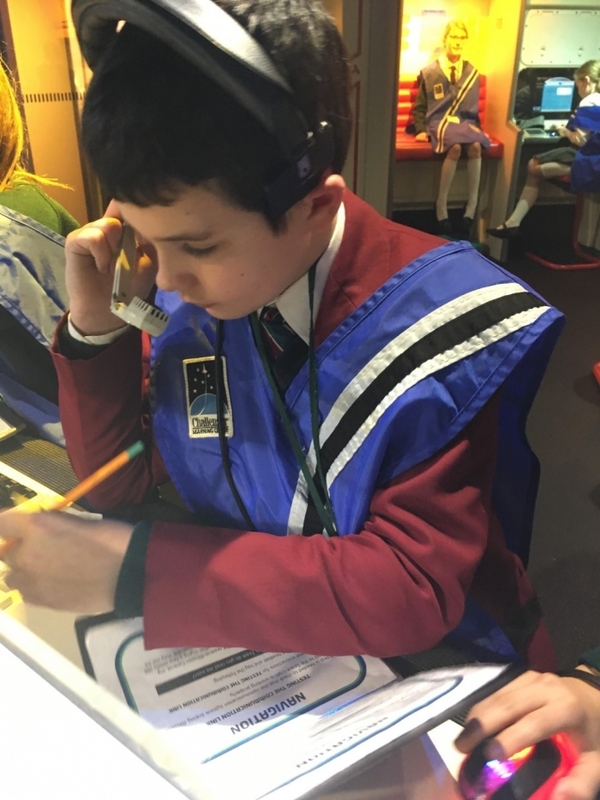 Applicants must ensure the application form is fully completed, including a detailed career history with specific dates and indicate if they wish to apply for the role on full time or part time FTE, and for which school, if appropriate. Closing date: Thursday 21 March 2019, at 9.00am. Interviews are likely to be held on Wednesday 27 March and/or or Thursday 28 March. Further details and an application form are available from the College website www.princethorpe.co.uk/employment-opportunities. 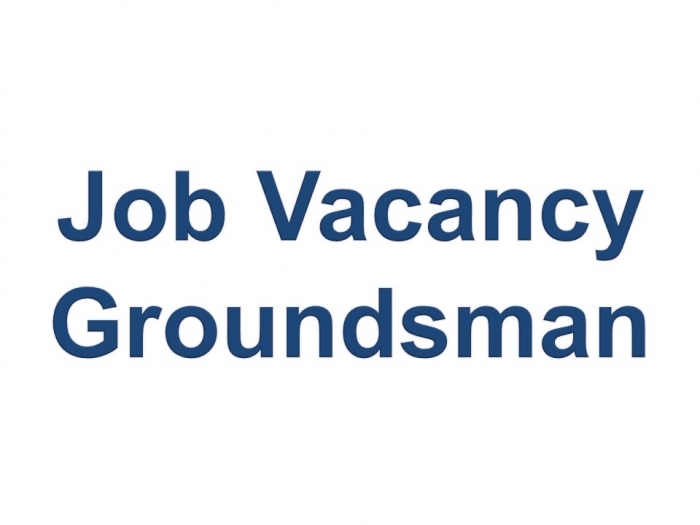 We are recruiting a Groundsman\Gardener to undertake grounds maintenance and landscape duties under the control of the Grounds Manager\Supervisor, to assist with project work on all sites. Grounds staff also provide support for school matches\fixtures when required. A proactive approach is required to ensure that the Foundation’s Grounds Manager is kept informed of any incidents promptly and the successful candidate will be expected to work in accordance with the Foundation’s Health and Safety requirements. This role is predominately outdoors, working 16 hours a week, over two days (preferably Monday and Tuesday). Application: To apply for this vacancy applicants must submit a Princethorpe College application form, together with a CV and covering letter detailing their personal qualities, experience and how they meet the person specification for the role. Applicants must ensure the application form is fully completed, including a detailed career history with specific dates. Closing date: Monday 4 March at 9.00am and interviews are likely to be held on Thursday 7 March 2019, at Princethorpe College. Our catering team's new menus proved popular last term, with a range of healthy meal options served in both the Refectory and Sixth Form Dining Room on a three-week rotation. These menus will continue to be served until February half term, with the addition of weekly specials such as a noodle bar, rice bar and nachos bar with a choice of meat and vegetarian toppings. 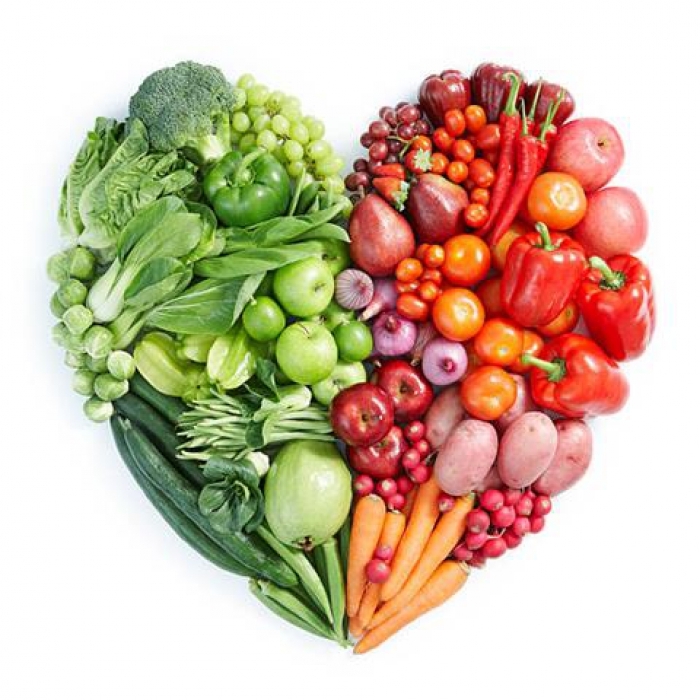 If you have any questions regarding the selection of food we have on offer here at Princethorpe College, especially if related to any allergies or specific food requirements, please email maureenkennedy@princethorpe.co.uk as we aim to cater for all needs. Please note the revised date for Prize Giving in the 2019-20 Key Dates section.